You are currently browsing the tag archive for the ‘Navanethem Pillay’ tag. The impending visit of UN High Commissioner for Human Rights, Navanethem Pillay, can be seen as a great opportunity for the government to improve policies and practices as to Human Rights in this country. I can only hope that this opportunity will be taken, and that she will not instead be seen as a threat. Unfortunately, some indiscretions early in her career have coloured our perceptions of her. 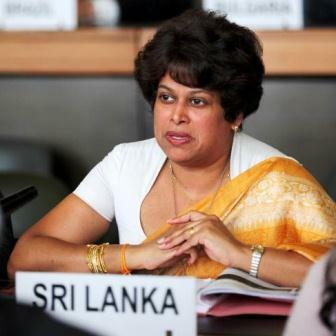 Most notably, back in 2009, when the Council was discussing Sri Lanka at a Special Session initiated by the British – and sadly, it now seems from Wikileaks, supported by the Americans, even though at the time we thought the Americans still had the balanced approach to us they had evinced during our eradication of terror – Navi Pillay made a statement designed to put us in the dock. She may well have believed what she said at the time, but even worse was her continuing condemnation after the Special Session had passed a resolution essentially endorsing the Sri Lankan position. At the next ordinary session she made a statement that seemed to challenge the Resolution passed by the Council. She was roundly rebuked for this by the Indian representative at Geneva, and I am happy to say that after that she did not do anything that could be considered improper. Sri Lanka is full of conspiracy theories. There are many reasons for this, not least the fact that theorizing about conspiracies is a universal practice, and we in Sri Lanka are victims of this as well as practitioners. Then there is the fact that conspiracy theories are fun. Since they necessarily assume that evidence must be shadowy, they allow those with vivid imaginations to pursue their pet agendas under the guise of creative thinking. And since the conspiracies one discovers are the responsibility of others, one can promote one’s own conspiratorial efforts in the belief that they are mere reactions. However, we must also remember that even if we, like perhaps all other nations, are paranoid in considering our own interests, that does not mean that others are not out to get us – or, rather, all others, like ourselves, want to pursue their own interests, and do not mind if we or anyone else goes to the wall in the process. This is obvious on first principles, as Thucydides so succinctly put it over two thousand years ago. And as was the case when Thucydides wrote, all nations try to conceal their pursuit of self interest by claiming that they are acting on principle. Where this is obviously not the case, the claim is that the other breached principles first. This is not necessarily hypocritical. As that great analyst noted, there are consummate hypocrites around, and unfortunately they tend to exercise disproportionate power. But actual leaders are more often than not the victims of their fantasies about their own morality. Thus everyone knows that Barack Obama has been as forceful as his predecessors in using any means he thinks necessary to pursue the interests of his country, and the rhetoric he uses has accordingly changed. But there seems nevertheless a sincerity about his pronouncements that suggests he thinks he is as idealistic as before. A week or so ago, I wrote what I thought would be an entertaining but also instructive article about the way efforts were being made to resuscitate the terrorist Tiger movement. 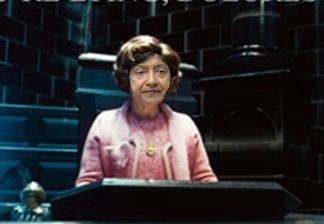 I used the Harry Potter stories to make my point, given the similarity on the one hand between the death of the LTTE leader in Sri Lanka and the death of the villainous Lord Voldemort, on the other between the existence of LTTE operatives abroad and the devotion of the Death Eaters to Voldemort. In both cases the point was that those who remained wanted to resurrect terror. Some of those who helped to bring Lord Voldemort back to life were devoted adherents of his cult, others began by playing with fire and were then consumed. There were also those who were basically resentful of anything different from themselves, including those jealous of Harry Potter’s heroic status in having been the instrument of Voldemort’s undoing, and in therefore opposing the forces of good they played right into Voldemort’s hands.